Three Exams in DSSSB are PRT, TGT and PGT. 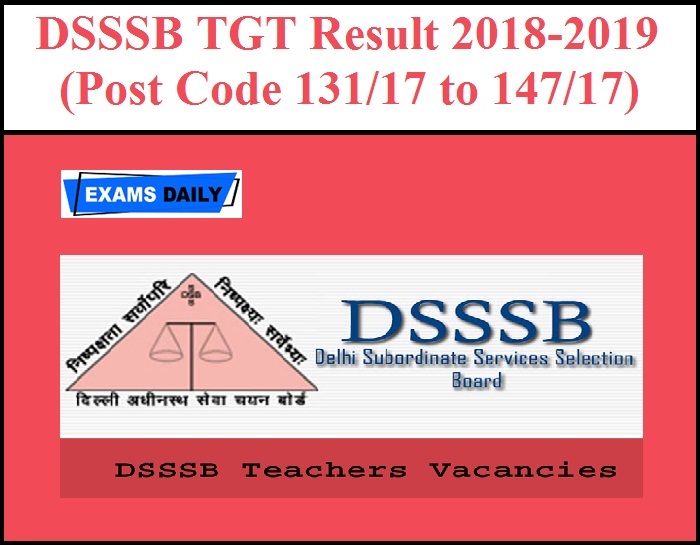 DSSSB TGT Primary Teacher is a Government exam in India. In India, thousands of teacher are waiting for submission a Form. Today I am sharing about best coaching in DSSSB TGT Primary Teacher , Exam Pattern, Syllabus, and most important How to crack DSSSB exam. The Exam Guru provides a DSSSB TGT Classes in Rohini. The exam guru is one the best institute in rohini. They Provide a best DSSSB TGT classes in rohini. Three Exams in DSSSB are PRT, TGT and PGT. The following are the Exam Patterns: Only the candidates who already qualified the CTET Exam (either level 1 or level 2) can apply. 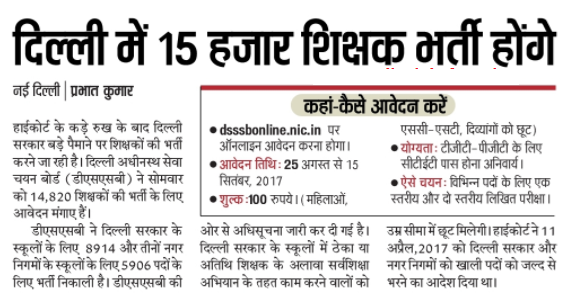 Every Year Delhi Subordinate Services Selection Board recruited thousands of candidate apply this from. (i)Negative Marking will be applicable and deduction of 0.25 marks will be made for each wrong answer. (iv) Skill test / Endurance test will be taken as per requirement of job. (v) In Two Tier examinations, Tier I exam to be used for short listing only. Selection will be made on the basis of marks obtains in Tier II Examination. (vi) The Board at its discretion may dispense with the Tier-I exam and directly conduct the Tier-II examination. 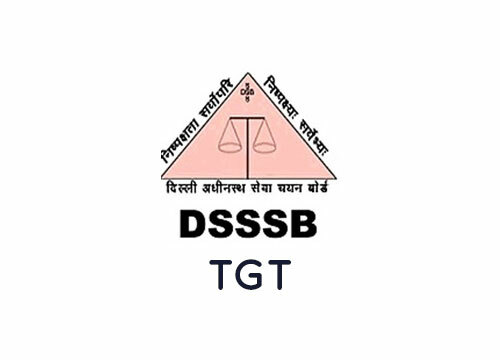 DSSSB TGT Exam Eligibility Candidates should have the following minimum education qualification to apply DSSSB TGT recruitment exam. The aspirants should have cleared Class XII examination with at least 60% marks through any board. They should have done a compulsory two-year course in D. Ed for teachers training in any reputed training school duly recognized by the Directorate of Education, Delhi Government. They must have qualified the centrally conducted Central Teachers Eligibility Test (CTET). The exam guru is one the best institute in rohini. They Provide a best DSSSB TGT classes in rohini.